Restorative Care at Hotel Dieu Shaver is a progressive, dynamic, goal-oriented, and time-limited process. Our Restorative Care Programs enables an individual with an impairment to identify and reach his or her optimal mental, physical, cognitive, and/or social functional level. Our treatment approach is based on the belief that each person is responsible for his or her continuing health and wellness. Our rehabilitation clinicians are supported in and committed to enhancing expertise in specialized areas through continuing education and research opportunities. Emphasis of treatment is on teaching self-management techniques and providing home-based programs. This is accomplished through a partnership with patients and families, rehabilitation specialists, and appropriate community resources. Patients are admitted from an acute care hospital after an acute event or illness, with the goal of improving functional ability and facilitating a safe return to the community. After their stay on the unit, patients return to their homes, or to a supportive setting more suitable to their needs. 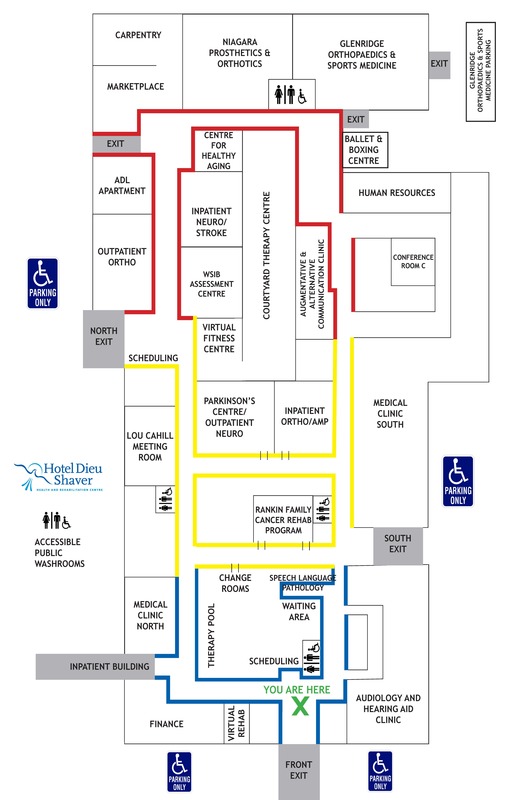 Restorative Care at Hotel Dieu Shaver is provided on 1 West & 2 East. Restorative Care Programs provide low intensity therapy over a longer period of time, on average 45-60 days.